There are a few professional groups that fit on these attributes. Lawyers for example are accused of a disproportional inflated ego with questionable morality. Or – since 2008 on top of the charts – the bankers, especially of the investment branch. If the lobbyists are mentioned one will see faces in disgust and the caste of the politicians is increasingly losing reputation especially in apparently stable democracies. It often seems that these attributes are the absolute requirement for being successful in these professions. 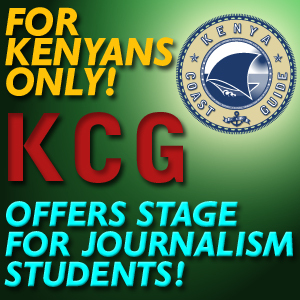 However, they also belong to the basic requirements of successful Secret Agents, Tricksters and Marriage Swindlers without insulting one of these branches. Concerning the morality there are things that causes sickness even to a Trickster. But in the guild of Arms Dealers this massive lack of instinct for “right” and “wrong” should be taken much more seriously because it is about human lives and it is always about the lives of those who accidentally get between the fronts. 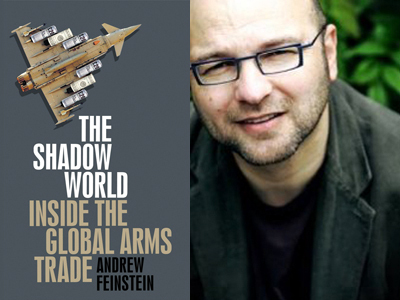 For the research for his book “The Shadow World – Inside the International Arms Trade” Andrew Feinstein concentrated himself very deep on this rare species of “Lord’s of War” that see themselves as honorable businessmen. The 47-year old Author is acting out of conviction. He belonged to those white men who fought against the Apartheid in South Africa and who supported the African National Congress (ANC). Later when the fight was over and the ANC was in office he wanted to investigate an enormous, obviously corrupt weapon deal of the South African government and was massively prevented by highest authorities. He resigned from the ANC and concentrated on the fight for stronger regulations and controlling of the international arms trade. Inspired by the Russian arms dealer Viktor But Hollywood produced the film “Lord of War” where Nicholas Cage gave a face to this kind of cold and cynical dealers of international arms trade. After the Soviet Union collapsed Viktor But started dealing everything with everyone. His fate began when U.S.-DEA-Agents pretended to be representatives of the columbian FARC and showed interest in buying Anti-Aircraft-Missiles. They mentioned to use these missiles for shooting on civil passenger aircrafts to kill some Americans. The fact that Viktor But knew about this plan and tolerated it made it possible for the U.S.-Authorities to apply for extradition to the USA after he was arrested in Thailand in 2008. The first judgement of the court in Thailand denied an extradition but But remained in arrest. After an appeal hearing he finally was extradited to the USA. There he was found guilty on Nov. 2nd 2011 for conspiracy to kill U.S. citizens, to kill U.S. government officials, to shoot down aircrafts and for illegal arms trade. There he faces a minimum 25-year prison sentence up to life imprisonment. Feinstein travelled all around the world for years for doing his research and he also found some dealers who were willing to be interviewed. He said in an interview with the German “Süddeutsche Zeitung” that of the absolute lack of ethics and morality up to be sociopathic they wanted to tell him about their good deeds in life. Because these persons see their deeds as a service to humanity. One of these arms dealers, a lebanese Armenian who started his career at a German company, claimed that all he did in the last 40 years was a service on the defense of humanity. The fact that he broke national laws and UN-Embargo’s and that he became unbelievable rich just happened besides. Another Arms-Lobbyist reported to Feinstein he did a lot of real bad things in his life. But he did not mean the high bribes to austrian ex-government officials he was associated with. He meant too many women and too much wine. According to a research of Transparency International arms trade takes 40 percent of the worldwide corruption and that means a lot if one considers that the worldwide investment in weapons is 60 Billion Dollars. Feinstein explains this high rate of 40 percent with the proportionally very low number of deals that are given among governments. But every single deal is a multi-billion dollar deal which makes it the more important for arms producers. Mostly there are also only a handful of persons in a government who decides which company is in the business or not. The armaments manufacturer are very tight with the responsible ministries and national or secret services, because in fact they are the basis of the national defense. This tight relationship never was more obvious than in the USA under the Bush/Cheney administration with their plotted wars in Iraq and Afghanistan. At the same time the manufacturer stay in close contact to illegal arms traders and therefore there is no difference at all between the so called legal arms sales of a government or the illegal trade through an intermediary or corrupt government officials. The arms all come from the same factory only their ways are different. The investigation of the ANC’s arms deal in 1999 which led to Andrew Feinstein resignation has been spread out also up to Germany. In the South African case 300 Million Dollars bribe found their way from armaments manufacturer to the ANC. Also German companies were alleged to have payed into that big pot as an application for the deliverance of a few corvettes. The ANC at that time was badly out of cash and needed it to finance their next election campaign. As well Germany’s Ex-Chancellor Helmut Kohl and his CDU had their arms trade scandal in the 1990-ties in being connected too tight to the Arms-Lobbyist Karl-Heinz Schreiber who sold some German tanks to Saudi Arabia. And after Muammar al-Gaddafi was lynched by libyan rebels they found some unguarded warehouses full with weapons until under the roof. Gaddafi bought so many weapons of the leading producing countries, he even had not enough soldiers to use them. Among other arms there were found dozens of G 36, an absolute high class assault rifle by the German manufacturer Heckler & Koch. The G 36 rifle is the ultimate high precision killer rifle. Of course on Heckler & Koch’s side suspicions about breaking the War Weapons Control Act has been refused. But finally these weapons has been delivered to the hot libyan desert somehow. A lot of these weapons are available now on the black markets of North African States. In Egypt for example one can have a surface-to-air-missile-system for only 50.000 Dollars.